Dropcam Pro is one of the easiest Wi-Fi cameras to set up and use—we thought it could have helped the people in the Dexter universe avoid those pesky serial killers, or maybe just assisted the cops in catching them, with its CSI-like zoom-and-enhance feature. But even the best camera can only see so much. 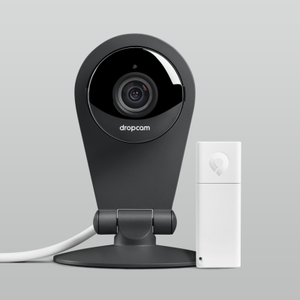 Tuesday at TechCrunch Disrupt NY, Dropcam announced Dropcam Tabs, which turn Dropcam from just a camera to the hub of a home security platform—bad guys beware. The $29 Tab is about the size of a stick of gum, and requires a $199 Dropcam Pro. 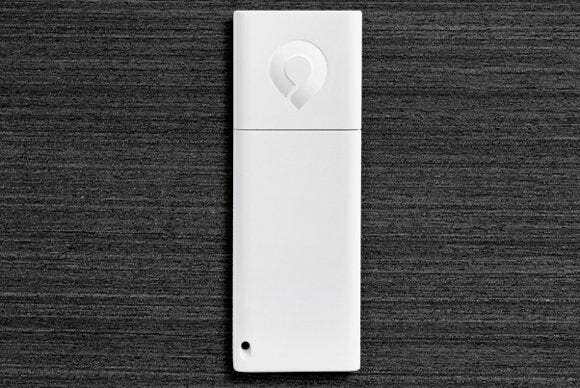 Dropcam Tabs are wireless motion sensors you can attach to physical items, like windows, doors, valuables, the liquor cabinet, even your diary. Available for preorder and shipping this August, each Tab costs $29, and they connect to a Dropcam Pro with Bluetooth LE. When one moves, you’ll get a push notification. So if you put one in your child’s backpack, you’ll know when she arrives home (or leaves), as the Tab enters (or exits) Bluetooth range of the Dropcam Pro camera. If a Tab is on your window, you’ll be able to tell if it’s been left open. Alerts can be customized, so you can smarten them up if you’re getting a lot of false alarms. We saw a similar product at CES, called Mother, only the hub in that system isn’t a camera—it’s just a gizmo that looks like a Russian nesting doll, and connects to your network via Ethernet. Dropcam is wireless, which is already more convenient, but it also lets you peek in on your home remotely, so if you get a notification that doesn’t make sense, you’ll be able to see with your own eyes if something appears amiss. The other big announcement from Dropbox CEO Greg Duffy at TechCrunch Disrupt is that soon Dropbox cameras will be able to recognize people and notify you when a human enters the camera’s view. That way you’ll know sooner if someone falls in your beluga whale tank.